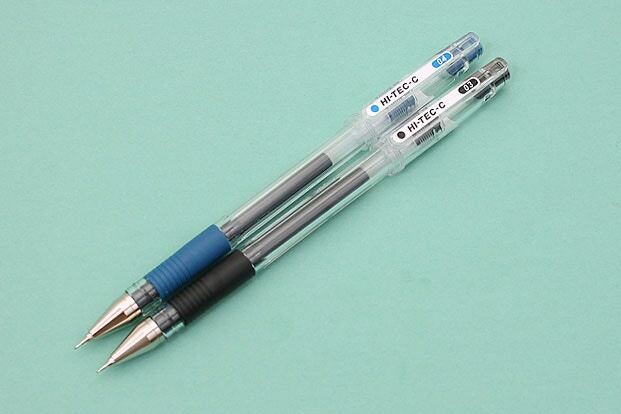 Available in dozens of ink colours and five tip sizes from ultra-fine 0.3 mm to bold 1.0 mm, the Sarasa Push Clip encapsulates everything that makes Japanese gel pens great. The ink flow is smooth and generous yet also clean and precise—never feeling messy or out of control. First released in 1963, this pen quickly rose to fame as President Lyndon Johnson's pen of choice for taking notes and signing documents. The Sign Pen's fiber tip offers a fun, expressive writing and drawing experience. It comes in a rainbow of colours and is made of 83% recycled plastic.